1 Top 10 Most Talked Moments From the 2016 Golden Globes | This Blog Rules | Why go elsewhere? The 73rd Annual Golden Globes took place last Sunday, January 10. The awards ceremony was definitely one of the most talked subjects over the weekend, especially in the virtual world of social media. Facebook has released some data on the matter. Apparently, the show appeared in the trends a few days before actually taking place, while over nine million people interacted on this subject in about 19 million ways on Sunday night. Facebook has also released a list about the most talked moments from the 2016 Golden Globes, and the next top showcases the best of the best. We are all used to Ricky’s sometimes burning jokes, and last Sunday was no exception. The famous comedian introduced Kevin Hart and Ken Jeong by saying that if Angelina Jolie and Brad Pitt would see the next two presenters, they will want to adopt them, thus making a reference at the origins of Hart and Jeong. 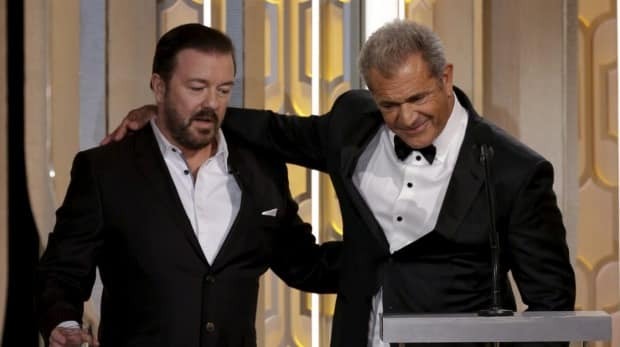 Gervais went even further when he introduced Mel Gibson last Sunday and his remark was censored. Gibson started by telling Gervais that he would like to put him to sleep. The host of the Golden Globes replied by asking Gibson to explain the meaning of a nasty expression the actor previously used when he was arrested in 2006. This TV series that only recently started surprised us all when it won the prize for Best Drama TV Series. The story follows the life of a computer programmer suffering from social anxiety. He manages to create connections by hacking, and is hired by Mr. Robot, a mysterious anarchist. Christian Slater who plays Mr. Robot also won a Globe for his supporting role. 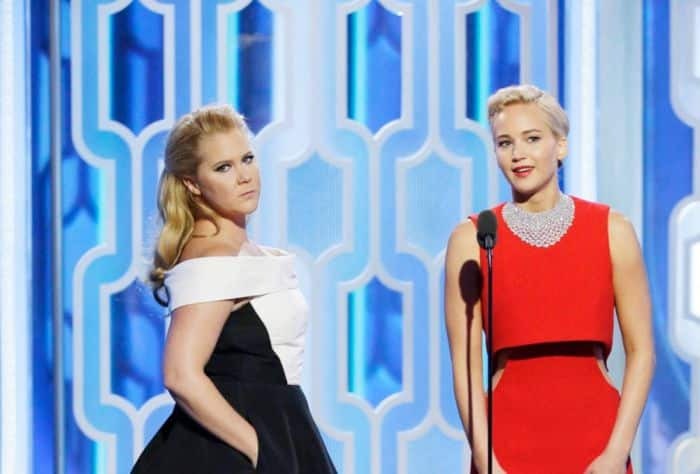 Another one of the most talked moments from the 2016 Golden Globes was the comedic bit of Jennifer Lawrence and Amy Schumer. The two actresses introduced themselves as “J. Law” and “ A. Schu” and went on to present clips from the movies they are starring in. They are also currently working together on a script. Will Ferrell and Mark Wahlberg presented the nominees for the Best Screenplay category, spiced with a couple of jokes. 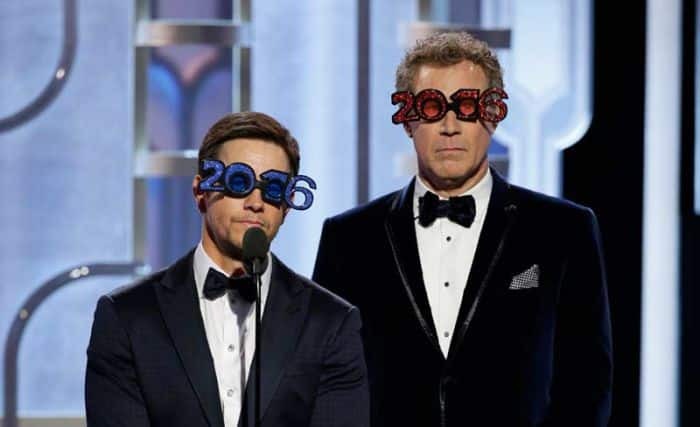 Wahlberg called out Ferrell for over-drinking during the awards show, as well as having a puppy or cat breath as a consequence. Although DiCaprio did win other Globes in the past, this might be a sign that he could finally get that Oscar he deserves. The actor won the Best Actor in a Drama Motion Picture prize for his performance in The Revenant movie, and it seems he had a smashing night. His win also made Jason Sudeikis happy by making him win a bet he made with a friend. Probably the most surprising win of the night, the eccentric Lady Gaga won the Best Supporting Actress in a Limited Series or a Motion Picture Made for TV prize for her role in the American Horror Story: Hotel series. 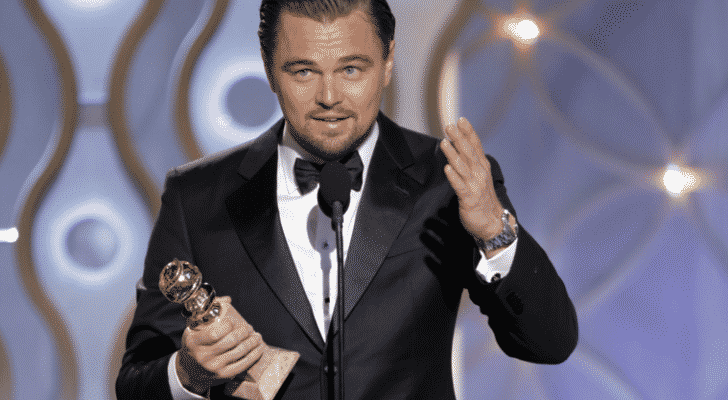 However, when she walked up to receive her Globe, she bumped into Leonardo DiCaprio’s shoulder and this ended as one of the most talked moments from the 2016 Golden Globes, mostly because of DiCaprio’s reaction. The most talked moments from the 2016 Golden Globes include the bit when The Martian won the Best Motion Picture, Musical or Comedy prize. The star of the movie, Matt Damon, also went home with a Globe for Best Actor in a Musical or Comedy. It seems that The Martian will have serious competition at the Oscars, as the winner for Best Drama Motion Picture was The Revenant.